I am a Lady who loves both Shoes and Bags, much to the despair of my Husband the Earl, and I simply cannot resist the temptation to buy an item when it calls me. Since I have already shared with you my favourite shoes (Click here to read the article) I thought it would only be the right thing to do, to share with you my selection of must have bags. Please enjoy! 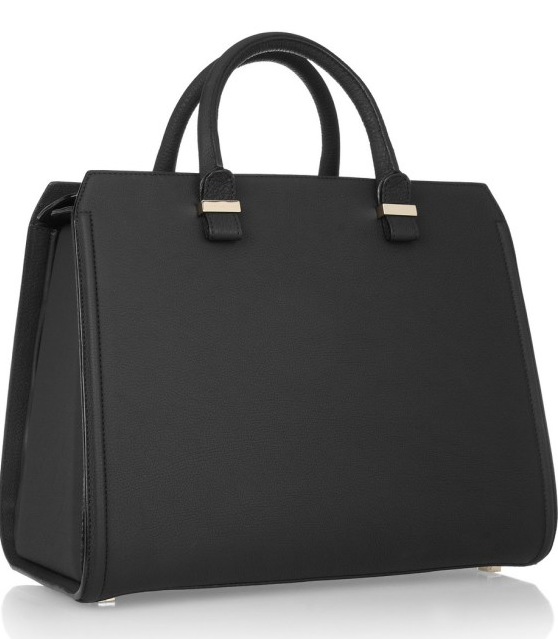 Victoria Beckham leather tote £1933.75 – This tote is simply divine and classic; It is a timeless bag that will still be chic and elegant in years to come. The Leather is exquisitely soft to the touch and feels just darling! Take it from day to night, this bag will suit every occasion and you will find it is worth the price tag. 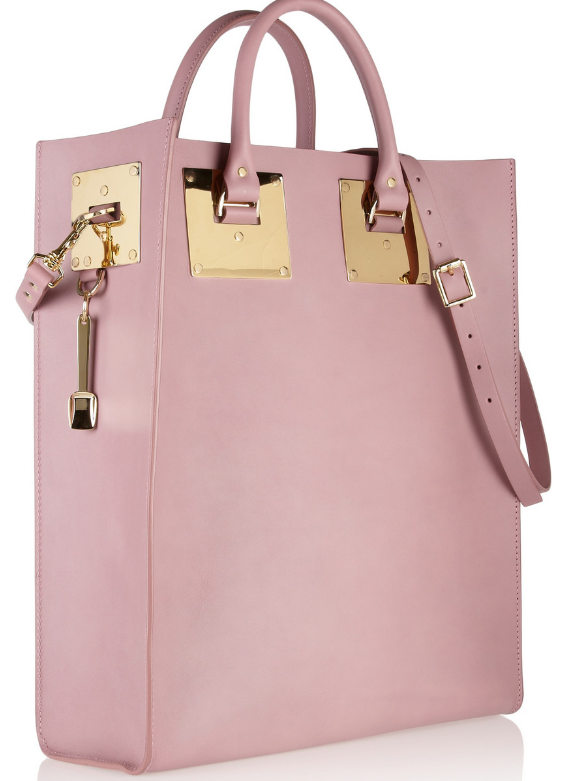 Sophie Hulme Leather Tote £512 – Have you ever seen such a beautiful pink? 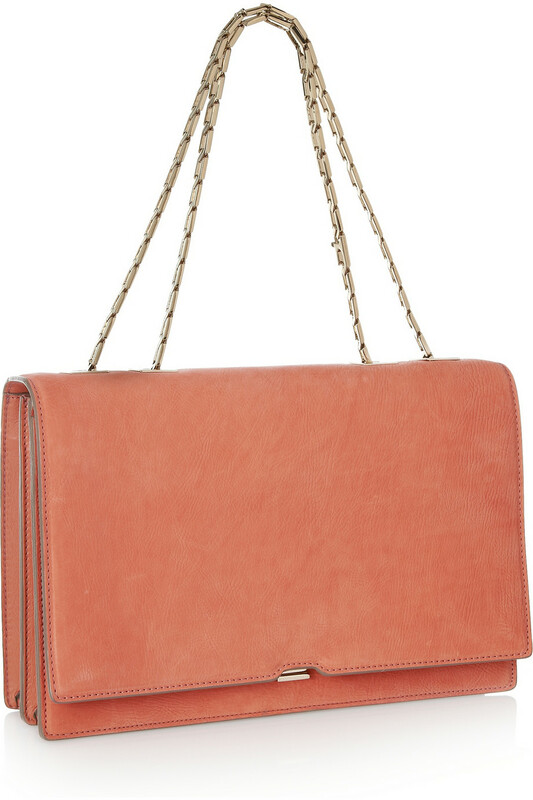 This bag is so elegant and ladylike adding a touch of feminine sophistication to any ensemble. It is large enough to carry all of your necessities but manages to do it’s job in the loveliest way. The stitching and craftsmanship is supremely evident as you can see and the gold metalwork compliments the pink perfectly. A delicious tote. 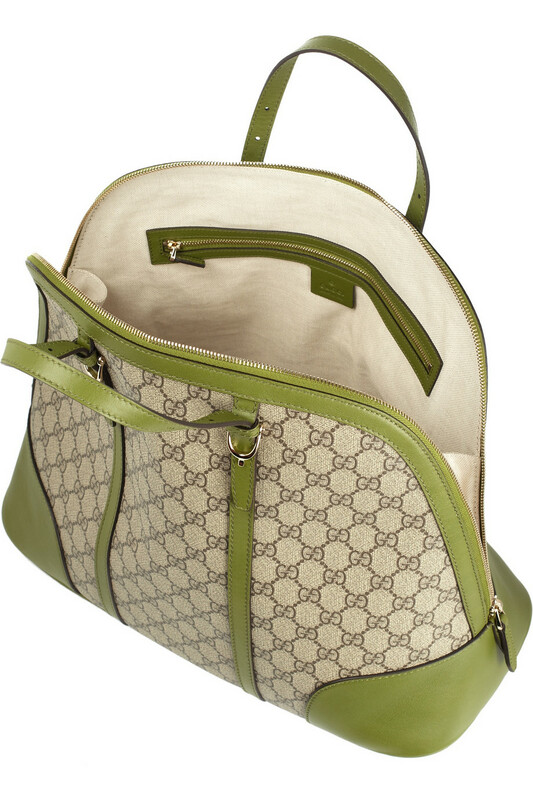 GUCCI Leather-trimmed canvas tote £673.75 – This elegant tote has the classic Gucci embellishment which gives it a mark of recognisable elegance. The leather has an extremely beautiful grainy texture and feels marvellous to the touch. The Green leather trim is perfect for Spring and will add colour to rainy April. MIU MIU Leather and canvas tote £730.62 – I adore this tote as it has been so carefully designed. The White leather against the creamy canvas and then the luxury of the gold detailing, this bag is incredible. 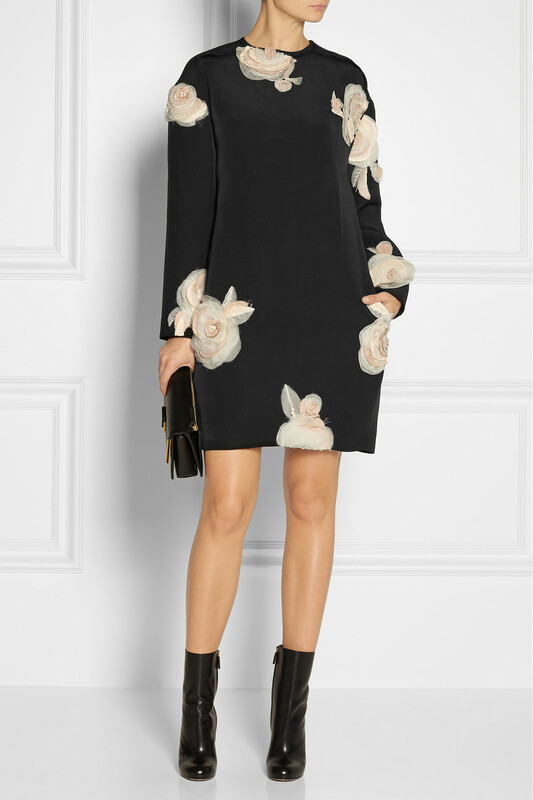 JASON WU Daphne leather shoulder bag £1,216.25 – This chic shoulder bag is another timeless statement. 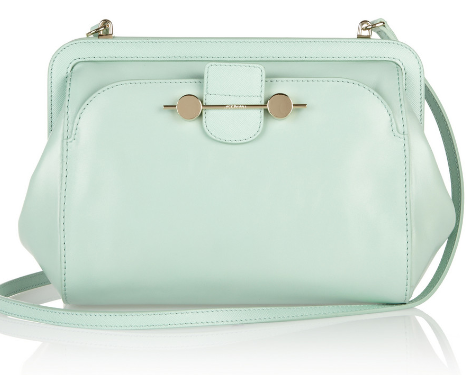 In years to come when other bags are thrown out, this one will still be ‘in.’ I adore the mint colour of this bag and find it excellently refreshing. If your partner still needs convincing, refer him to me! 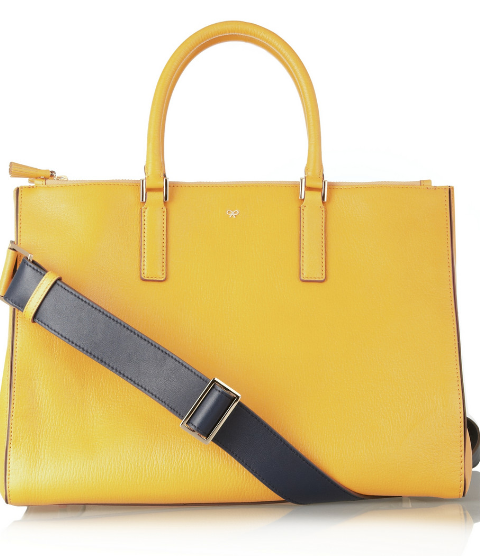 ANYA HINDMARCH Ebury leather tote £914.37 – Nothing says Spring has sprung like this vibrant tote! The sophisticated yet simple design will add elegance to the bright coloured tote to make it ultimate perfection. 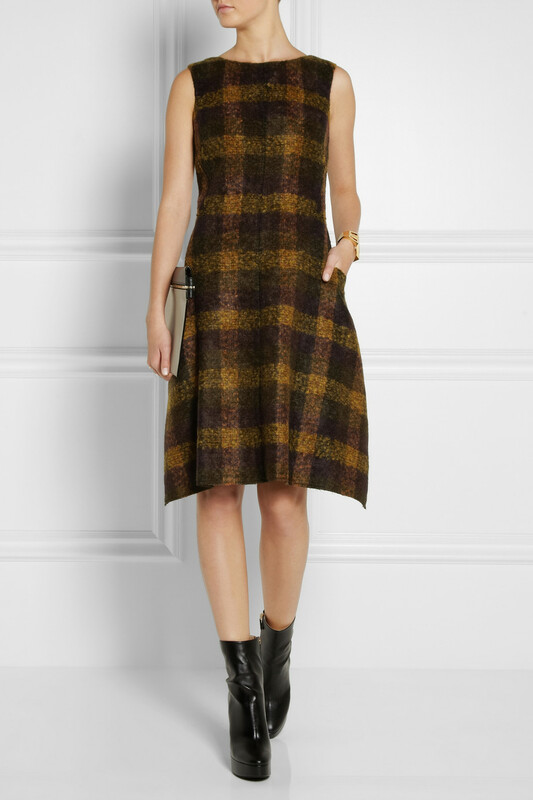 VICTORIA BECKHAM Nubuck shoulder bag £1,842 – Victoria strikes again and delivers another impeccably divine bag. There is nothing that I do not love about this bag, the gold link straps, the almost velvety leather, the dusky pink. 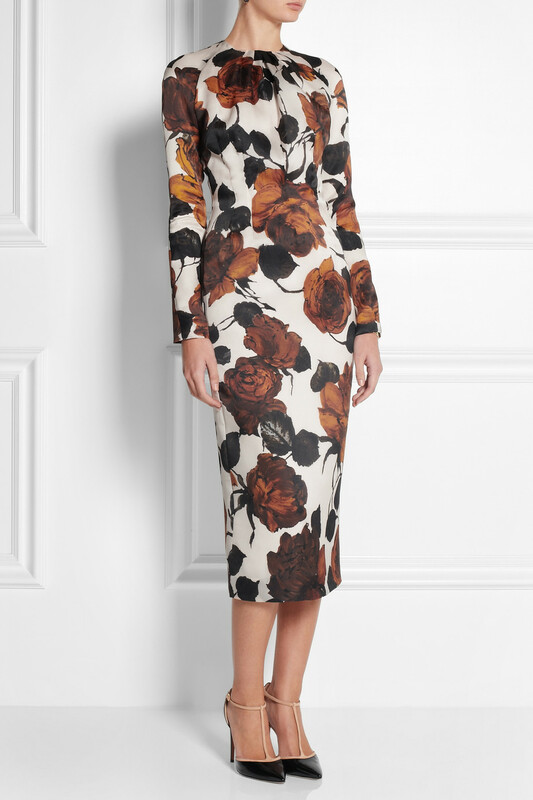 It is the ultimate decadence and perfect for the discerning Lady. 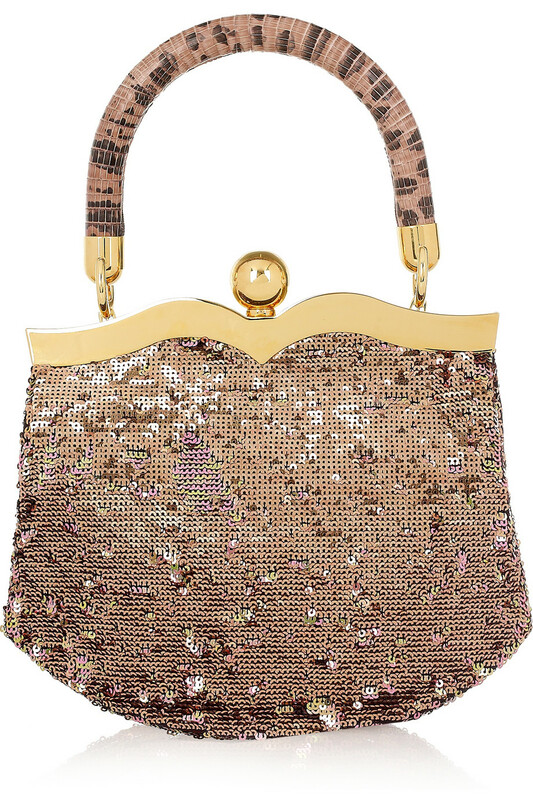 MIU MIU Lizard-trimmed sequined clutch £1,050 – Oh My! This clutch is amazingly decadent with it’s beautiful handle and sparkly sequins. This clutch is also fabulous as it will suit women of all ages, in fact I can see Queen Elizabeth with this on her arm. 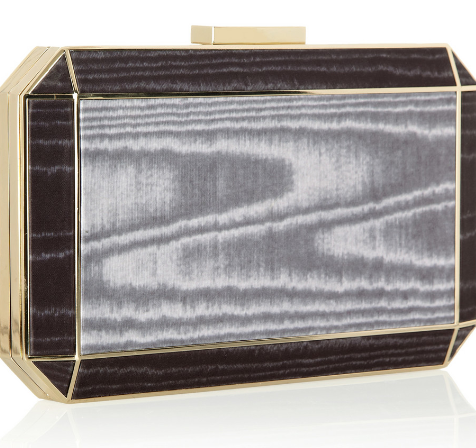 ANYA HINDMARCH Duke printed satin-moiré clutch £651 – I particularly like the dimensions of this sophisticated clutch. When the light catches the edges, it is going to look resplendent. The satin finish is also a detail that makes this clutch impossible to resist. 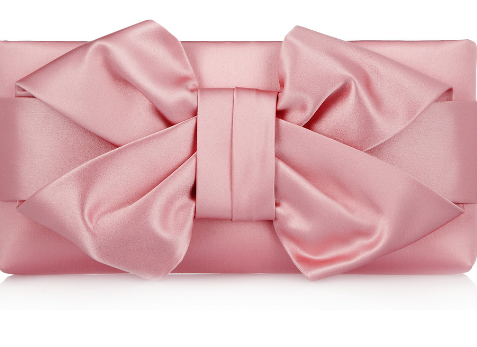 VALENTINO Bow silk-satin clutch £441 – I cannot begin to describe how much I adore this beautiful satin clutch. It is the most exquisite piece I have seen in a long time and I have seen many clutches. 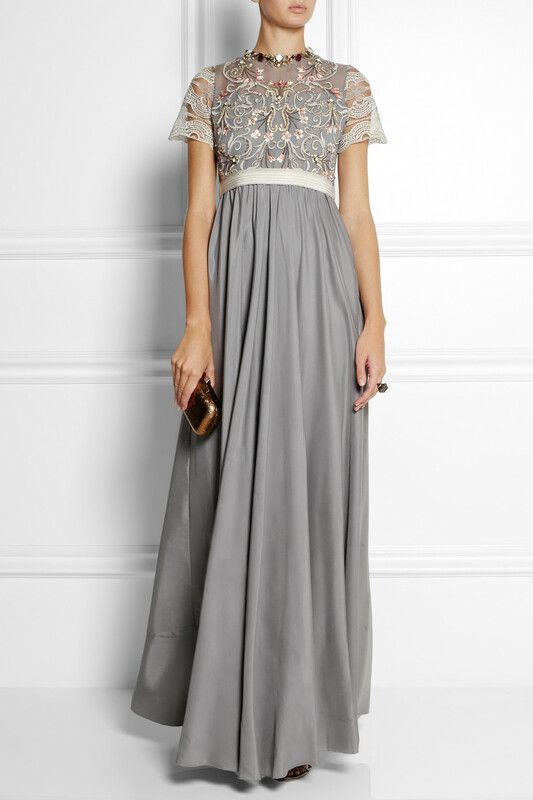 This exceptionally elegant clutch is just perfection and so timeless. I can just imagine Jackie O carrying this wearing one of her signature two piece Chanel Suits. My favourite clutch of the year.